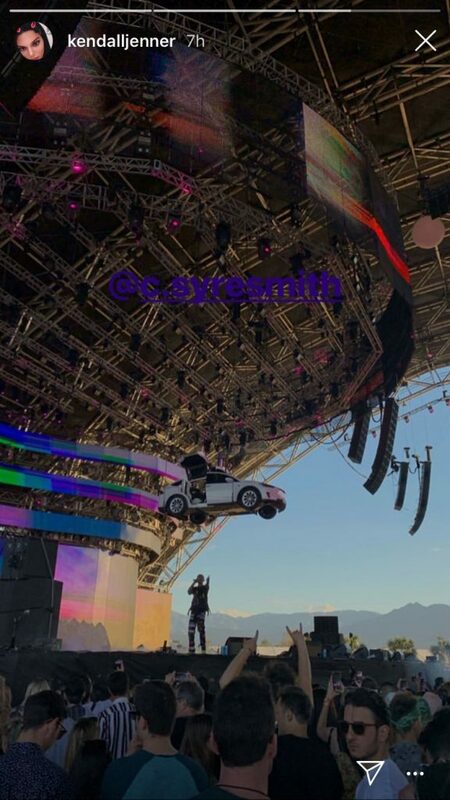 Jordyn Woods made a surprise appearance during Jaden Smith’s performance at Coachella on Friday night. 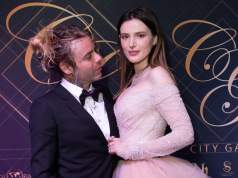 Sporting long braids, the 21-year-old looked happier than ever as she danced with her arms in air, as Jayden stood on a white Tesla on stage. Jordyn wore a colourful festival outfit, but made sure to keep her identity somewhat shielded by wearing dark sunglasses, and a white mask which covered her nose and mouth. The model then left the stage surrounded by security, but made sure to wave to fans on her way out. 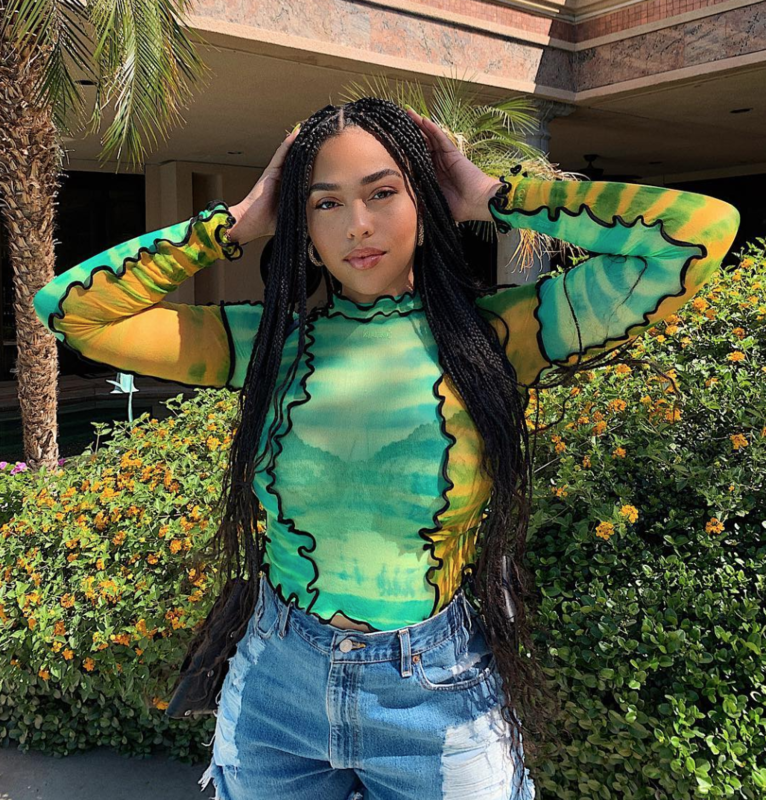 Jordyn joined close friend Jayden on stage, after she sat down for a tell-all interview with his mother Jada Pinkett Smith. During the interview, the 21-year-old admitted to kissing Khloe Kardashian’s beau Tristan Thompson at a house party – and she has since been cut off by the Kardashian/Jenner family.